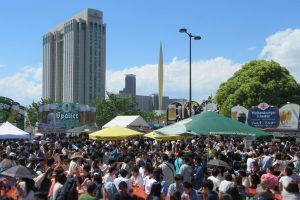 The German beer festival "Oktoberfest" starts at Odaiba from Golden Week this year again! At the venue, not only authentic German fresh beer from a barrel, but also dishes such as sausages, Eisbein, and das Schnitzel are available. So it is sure that people who cannot drink alcohol and even small children can have a good time. Performance of AnTon, who is the most popular entertainer in the Oktoberfest in Japan, is also a must-see. The word is prost (Cheers)! Tohoku Sake Festa will also be held simultaneously. The event site is here!